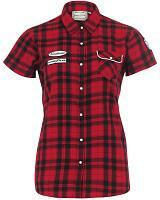 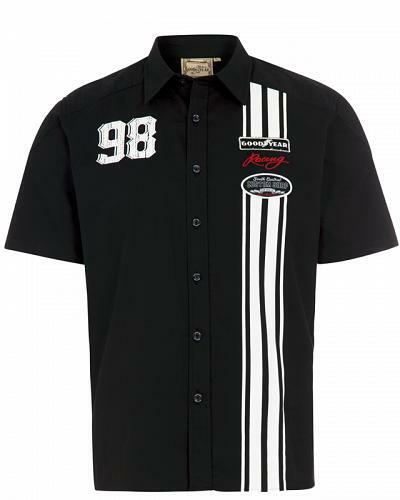 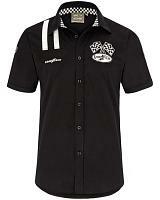 Hotrod fashion shirt Atlanta comes in black with very interesting quilted shoulder panels and with the Goodyear credentials at the front panels. 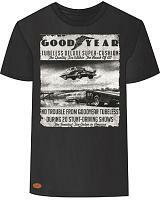 Makes the Boss look good, is the slogan of the eyecatching hotrod print at the backpanel. 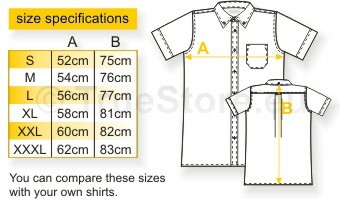 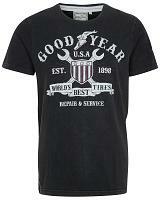 A Super cool Goodyear worker style shirt with a straight-cut fitting. 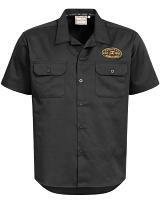 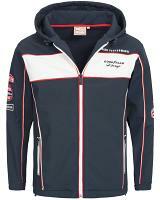 Available in black, as picture, in sizes S till XXXL.